He created groundbreaking movie promotional art for The Dark Knight, The Grinch, Unforgiven and the hit video game Resident Evil. Sienkiewicz' character design for the upcoming DreamWorks' film Alcatraz Versus The Evil Librarians has now opened doors for producing. Sienkiewicz is conceptualizing characters for LionsGate's supernatural Western The Man With No Name, which he will executive produce with Braxton Pope. He will also jointly produce, write and direct the film of his Stray Toasters with Jeff Renfroe. Books include Jimi Hendrix, Voodoo Child: The Illustrated Legend of Jimi Hendrix and Santa: My Life & Times (An Illustrated Autobiography). CD covers include The Very Beast of Dio, Bruce Cockburn's The Charity Of Night, The RZA's Bobby Digital In Stereo, EPMD's Business As Usual and Sold Out: A Threevening With Kevin Smith. 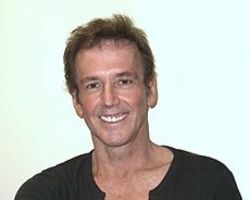 With longtime friend and mentor Neal Adams, SIenkiewicz also designed multimedia stage productions for Roger Waters' 2006 Dark Side of the Moon Tour. A classically-trained painter, Sienkiewicz's renderings incorporate abstract and expressionist influences and any combination of oil painting, acrylics, watercolor, mixed-media, collage and mimeograph - previously unheard of in comics. His work has garnered numerous accolades - most notably a 2004 Eisner Award for DC Comics' The Sandman: Endless Nights, and 1995 and 1996 Emmy Award nominations for production and character design on the PBS children's TV series Where In the World is Carmen Sandiego? Elektra: Assassin swept the top comic illustration awards in the U.S., Europe and Italy, respectively, with a 1987 Kirby Award, 1986 Yellow Kid Award and 1986 Gran Guigiri Award. Sienkiewicz - born Boleslav Felix Robert Sienkiewicz - is descended from the Nobel Prize-winning Polish novelist Henryk Sienkiewicz. He grew up in rural New Jersey, taught himself anatomy to better his sketches and worked construction to put himself through the Newark School of Fine and Industrial Arts in Newark, New Jersey.